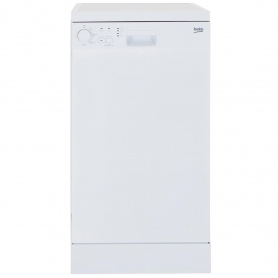 The majority of dishwashers have capacities that hold around 12 place settings of crockery, pots and pans, with an overall width of around 60cm; the DFS04C10W is designed to fit in smaller spaces with a width of only 45cm. Despite this, it can still hold up to an impressive 10 place settings. 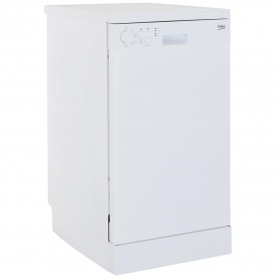 This makes it ideal for smaller kitchens and it’s perfect for couples moving into their first home or flat. 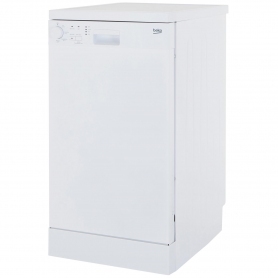 The DFS04C10W features 4 settings which work across 4 different temperatures. 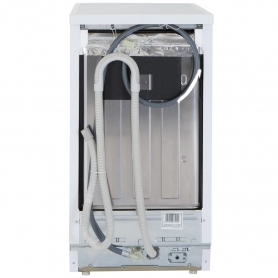 These include an incredibly handy Quick & Clean option, which can be used for full or half loads – ideal for busy families that need dirty dishes cleared up quickly after meal times. 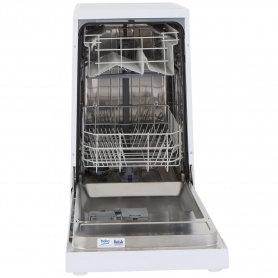 Intensive wash works its magic on those dried on foods, while Mini 14 does a half load in just 14 minutes. The performance of the DFS04C10W is excellent across the board. 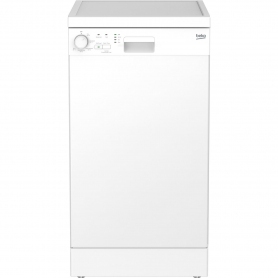 It has been awarded A grades for washing, drying and energy efficiency. This means that despite always producing top results, it won’t cost a fortune to run. 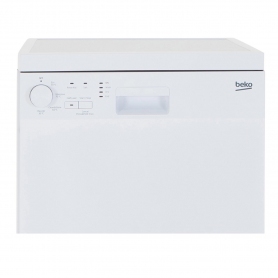 Add the Beko DFS04C10W to your basket today.